Emma Farwell is a professional wedding stationery designer, based in Bournemouth, creating stationery for clients across Dorset, Hampshire and beyond. My business was established in 2003 and have been designing and creating stationery for almost 13 years. I specialise in producing beautiful and the highest quality wedding invitations and wedding stationery. All of my stationery is individually created by hand which means that I can incorporate your chosen colours and theme for your wedding. I offer a choice of popular pocket fold/wallet wedding invitation style cards or you can have a bespoke design uniquely created for you. 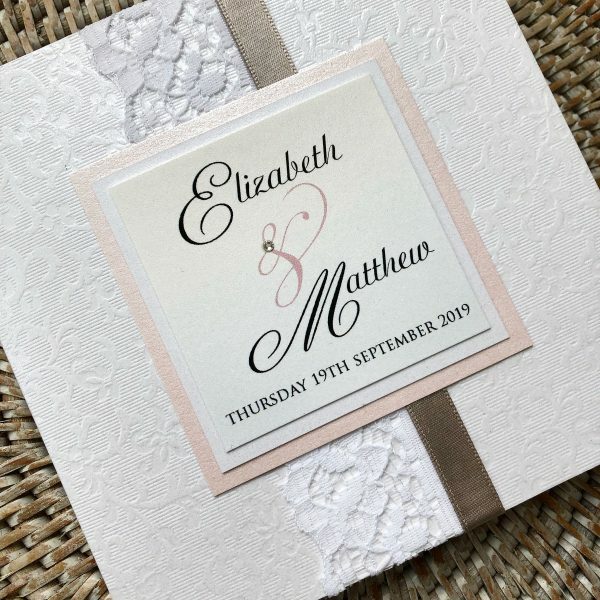 Save the date cards and invitations are the key elements for your wedding and choosing the right design should mark an exciting moment in your wedding day journey, you can even impress your guests before your big day. . . . . . Please browse through my four collections ‘Elegance, Seaside, Rustic,Tradition,Laser Cut Wedding Invitations, Floral Water Colour Wedding Invitations’ consisting of Save the Date Cards, Wedding and Evening Invitations, Place Cards, Order of Services, Menu’s, Table Names/Numbers, Table Plan, Guest Book, Wedding Postal Box and Thank You Cards. I know how important it is for you to be able to coordinate your chosen wedding colours for your big day. Your invitations are the first glimpse your guests will see of your colour theme and style of your wedding. With endless card colours and over 40 ribbon colours to select from, you will certainly be spoilt for choice! I can send one complimentary sample wedding invitation, the invitation will be created in your chosen design and colour, please advise when you email, your preferred design from my collection, and photo number i.e. Elegance 1,2, etc. . and your colour theme. 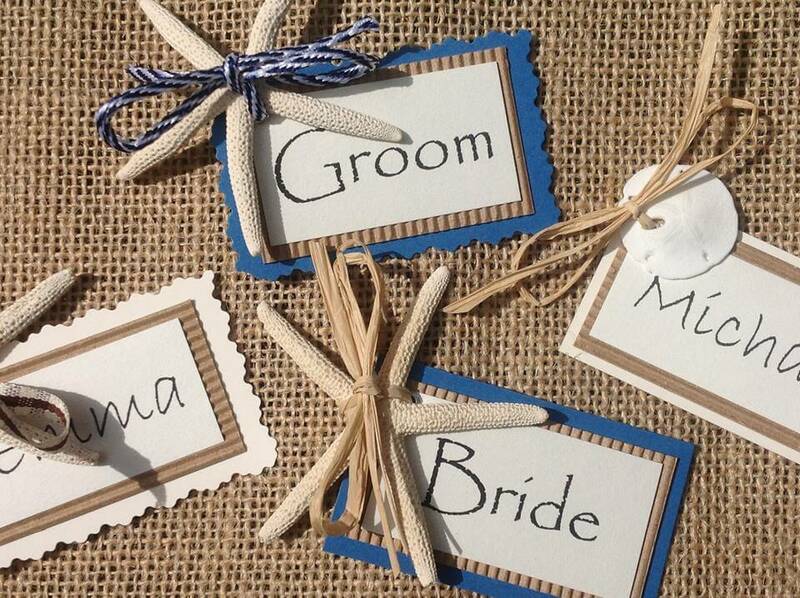 All of my wedding invites are available in four different styles; the pocket, wallet, folded or flat card. ‘Can I firstly just say thank you so much for our beautiful invitations!! We have had so many great comments from friends and family – “What a beautiful invite!” And many more lovely comments! This is exactly what we wanted to hear! 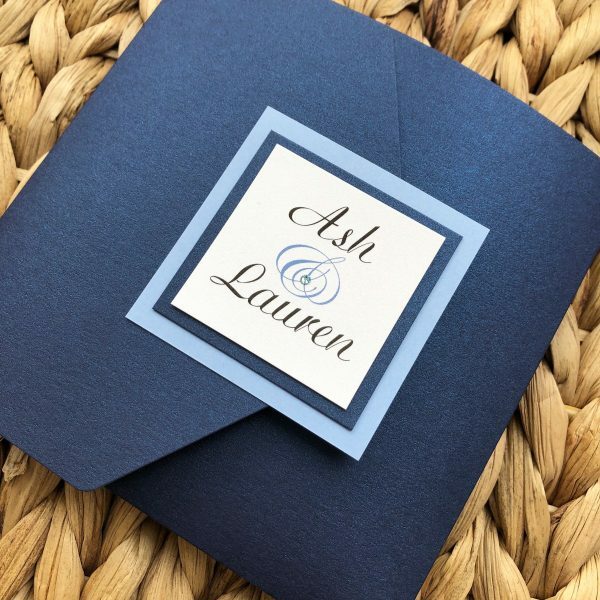 “Poshest invite I have ever seen” “Most gorgeous invite I have ever received!” Thank you . . . . .
Quentin and I just wanted to thank you so much for the beautiful wedding stationary you created for our wedding on Saturday. 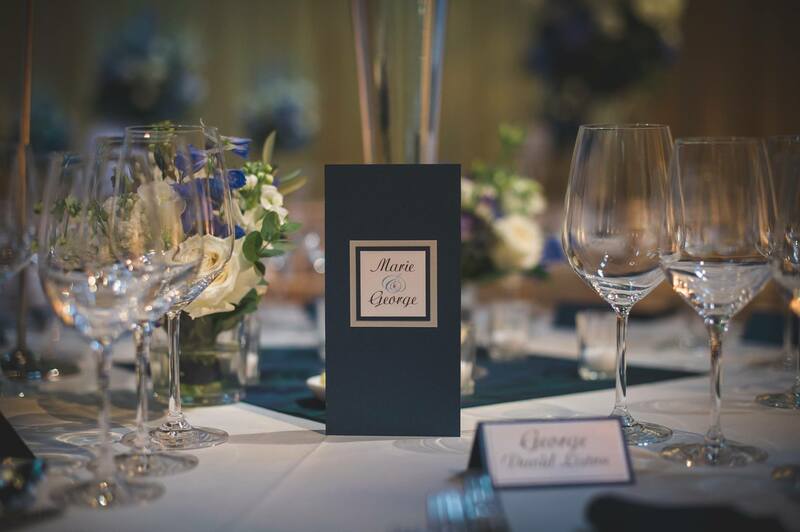 We had such an amazing day, and the tables looked absolutely stunning with the beautiful table names, place names and table plan. Thanks so much! We had an amazing day and the beautiful stationary made it even more perfect! Thanks Again . . . . . .